A member of the sustainable finance HLEG has warned that a European Commission proposal to include green commitments in bond prospectuses and make them legally binding risks raising costs and deterring issuance unless other requirements are eased or incentives provided. 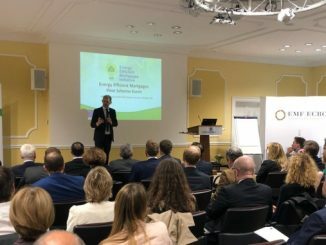 In its January report, the High Level Expert Group (HLEG) on sustainable finance recommended to the Commission that the four pillars of the Green Bond Principles (GBP) be made mandatory for a planned EU Green Bond Standard (GBS), with the alignment of green bond issues with the standard verified by an independent accredited external reviewer. 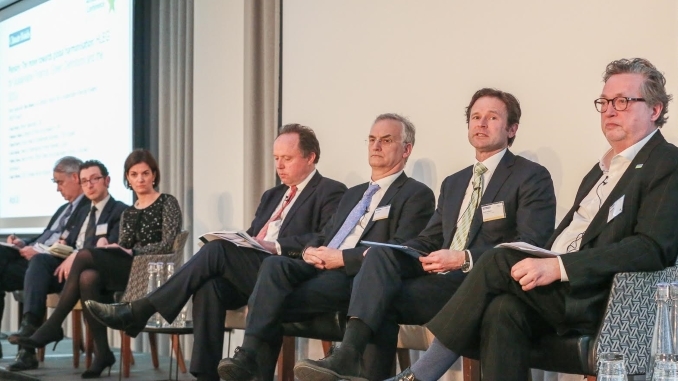 However, Julie Becker, member of the executive committee of the Luxembourg Stock Exchange, head of Luxembourg Green Exchange and an HLEG member (pictured, third from left), highlighted at the CBI18 conference on Tuesday that the Commission had in its sustainable finance action plan – announced on 8 March – even gone beyond the group’s recommendations. Within the framework of the Prospectus Regulation, the Commission will specify by Q2 2019 the content of the prospectus for green bond issuances to provide potential investors with additional information. 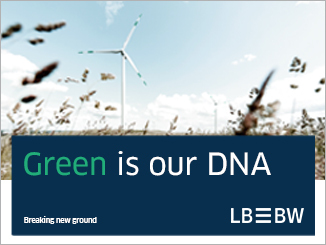 Becker said that while this could in itself be a positive development – and one that mirrors developments in China – in conjunction with other requirements it could deter green bond issuance. “Once the green nature of the proceeds is embedded in the prospectus, we have to realise that then it becomes legally binding for the issuer,” she said. “That’s why it may also be appropriate to consider in this case lightening the requirements, for instance of an external review, to not be too burdensome on green bond issuers and not kill the green bond market either – especially in the context of CMU, where prospectus regulation is revised to lighten prospectuses’ requirements in order to foster access to capital markets. Her warning met with scepticism from co-panellist Robin Edme, senior policy officer, green, responsible and sustainable finance, financial services policy and international affairs unit, DG Fisma (pictured, right), who said that market participants did not seem in agreement on this and other concerns that had been raised in relation to the Commission’s action plan. 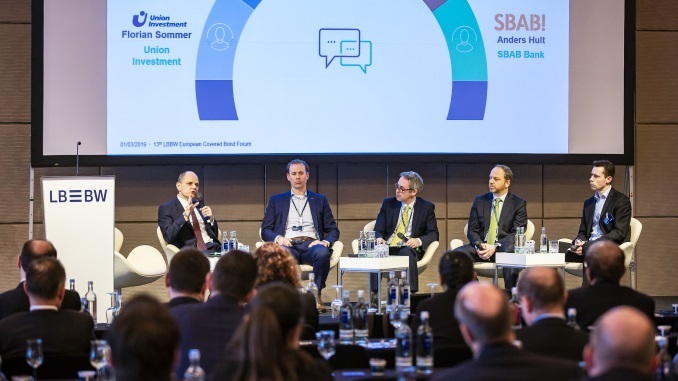 “Some consider that the extra cost is not an issue,” said Edme, “because, as a matter of fact, what is the cost of the CBI (Climate Bonds Initiative) certification for green bonds when you compare it to the cost of those who help the issuers structuring the bond or even the cost of the communication around the bond? But Becker disputed Edme’s remarks relating to costs and proposed fostering issuance with incentives. “I’m sure that there are many green bond issuers in the room, and they couldn’t accept or agree with you on the additional cost linked to the additional green documentation they have to provide,” she said. 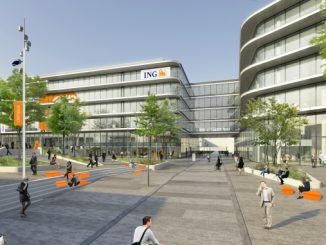 “And the better proof is to refer to initiatives taken, for instance, by the authorities in Singapore or even more recently Hong Kong, giving subsidies to issuers who issue green bonds to cover the cost of the additional green documentation they have to provide to be able to issue qualified or labelled green bonds. 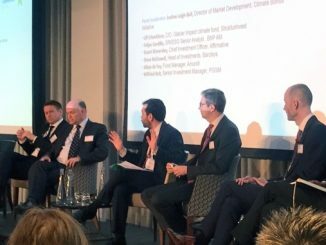 An SRI portfolio manager warned issuers who are slow to take up green bonds that their credentials may be questioned, at CBI18 last Tuesday, although investors said they acknowledge there is no such thing as the perfect green bond, and one said he would commit to buy non-green issuance from other parts of green bond issuers’ capital structure.